This post is for my Blog Guru. He’s the behind-the-scenes guy who puts up with all of my crazy, half-literate questions about the ‘backdoor’ of my blog. You know, all of that nasty code, computer jargon and other things that make me want to barf! I am thankful he’s my friend, or he may have taken his services elsewhere to someone who is less of a bumbler. I used this method on myself when I was regrettably unwell, OK– desperate, and in conjunction, on Sweet Baby as a preventative. It worked great! She of course, is always healthy– thanks, breast milk!– and I felt way less congested and got some decent sleep. First, get your cotton socks and your woolies on standby. Draw a foot bath and soak your feet for 5-10 minutes in warm/hot water. Don’t skip this step. The treatment isn’t effective without it. Once you have achieved a pink, flushed color on your feet, pull on your freezing cold cotton socks. I just run mine under my bathtub tap, others soak them in a bowl, perhaps with ice. (Wring well before applying). Pull on the wool socks immediately following, and avoid getting chilled. Get into bed. Your feet will be dry in the morning. Like magic. It may sound like some eccentric or lunatic notion, but it works because it rallies the body’s defenses, according to Jamey Wallace, ND, Clinic Medical Director at Bastyr Center for Natural Health. The treatment is known as a “heating compress,” meaning that it’s up to the body to heat the cold, wet socks, says Dr. Wallace. The body reacts to the cold socks by increasing blood circulation, which also stimulates the immune system. You have to ‘rev up’ the immune system, so it’s ready for battle against the affliction or condition. This treatment acts to reflexively increase the circulation and decrease congestion in the upper respiratory passages, head and throat. It also has a sedating action, and many patients report that they sleep much better during the treatment. The treatment is also effective for pain relief and increases the healing response during acute infections. It is recommended that you do this at first sign of illness for multiple days in a row. I usually do it in the morning and at night in the beginning and end of my illness. In our house, we don’t treat low-grade fevers, but if there is a worrisome fever present, we utilize this method first before moving on to other treatments. The heating compress works similar to the vinegar sock method in treating fevers, in which the fever is drawn down in a matter of minutes. 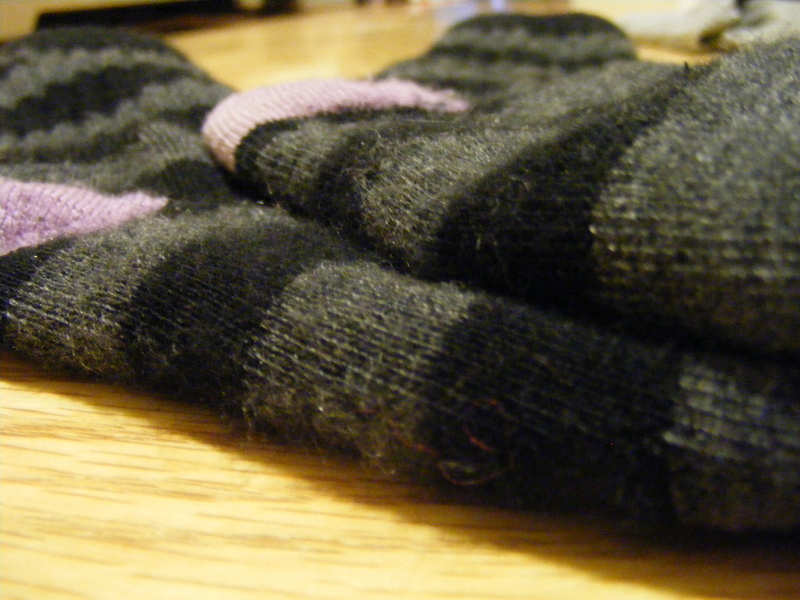 The Magic Sock method is not a comprehensive cure-all. It is just one method in your ‘natural medicine chest’ that works best when combined with other healing components like a honey remedy, increased fluid intake, sleep, and immune-boosting supplements such as garlic, vitamins A, C, D and E, and Zinc. Hopefully by now, cold and flu season has peaked, so you won’t have to try this method. But at least you have it if you need it. Get well soon, Blog Guru! *Once again, I am not a doctor. Nor am I a butcher, or baker or candlestick maker. This remedy is a suggestion. It is not a substitute for professional medical advice. Consult your own doctor. Do your own homework. I always do. 🙂 Be well, my dear friends. Previous Article← Homemade Whipped Body Butter! Thank you! Thank you! Flu has hit our house this week, we have all been so sick. I only wish you had written this 3 days ago. Blarg. Thanks for the info, you are my saving grace! Soooo…. 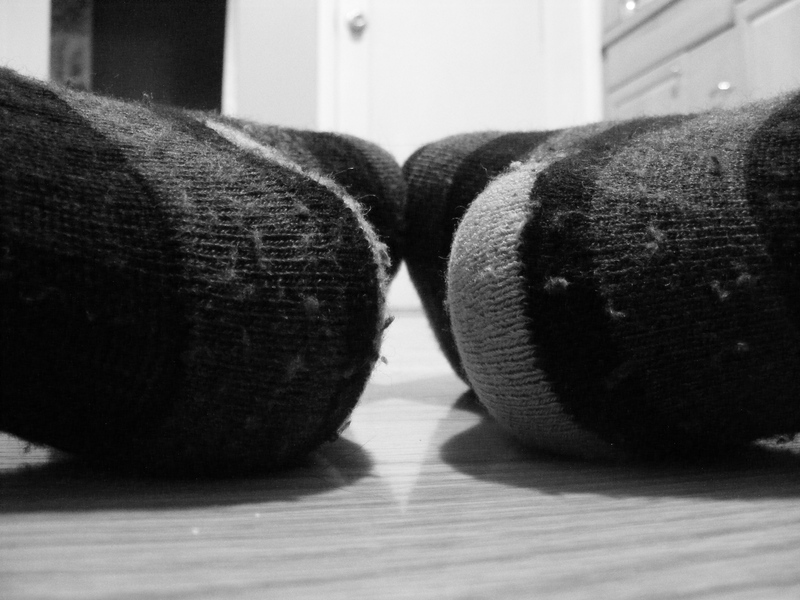 you put on freezing, cold WET socks….. and then go to bed…. with them wet? Hmmm… interesting. I must admit, I’m skeptical but when I get desperate I might just have to try it. Thanks for sharing. I was the same way at first! My Husband still wont ever go near this. He hates wet socks!!!! Once you get the wool socks on over the wet cotton socks, it’s honestly not that bad! 🙂 Your body heats them quickly. I’m excited to try this. I have yet to get hit with the crud this year (hooray! ), but I pray I remember this method when it comes knocking someday in the future. can I just put my socks in the freezer to get them cold or do they have to be wet & cold? Just to make sure I have this right.. 1.) Soak feet in warm/hot water till feet are pink. 2.) Put on cold wet socks. 3.) Put on dry socks over the cold wet socks and go to bed. Absolutely! Just try to put on wool socks, or your biggest, warmest, fluffiest pair 😉 Get well soon! Do you put a towel around your feet to keep from soaking your bedcovers and mattress? Thanks for sharing this. I am going to try it with my sick kids today. Just wondering if the cotton socks have to be 100% cotton or if they can be a blend. Thanks in advance. I use to get pneumonia almost every year when I was a kid. My mom had a hard time controlling my fevers. A friend told my mom to put Vicks vapor rub all over my feet and then put on a pair of thick warm socks. It works great by morning my fever would be gone. can the wool socks be a blend too? Sure. It will work fine if that’s all you’ve got. This really does work! My daughter had a terrible case of croup, and after 3 days of doing this , she is almost better!